British Ambassador Kate Smith CMG visited Crete to speak with UK nationals living on the island and to meet with local authorities and businesses. 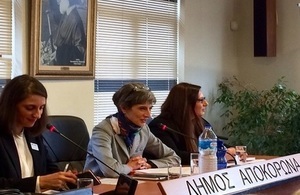 During her 2-day visit to the island of Crete, HMA Kate Smith CMG spoke to over 400 UK nationals about EU exit-related issues, emphasising that safeguarding the rights of UK nationals living in the EU has been a top priority throughout the negotiating process. Meetings were also held with local officials and businesses. 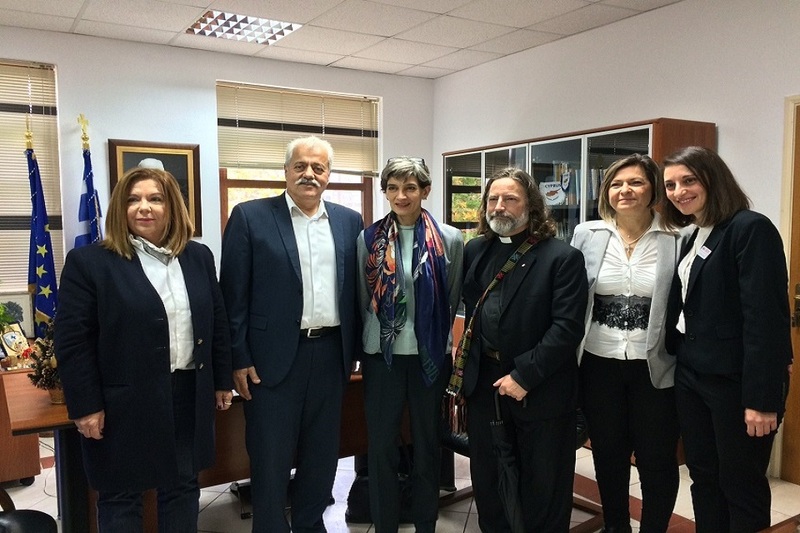 Beginning in Western Crete, the Ambassador met with the Mayor of Apokoronas, Charalampos Koukianakis, and Reverend Canon D. Bruce Bryant-Scott of the Anglican Church of St. Thomas, which is located in the region. 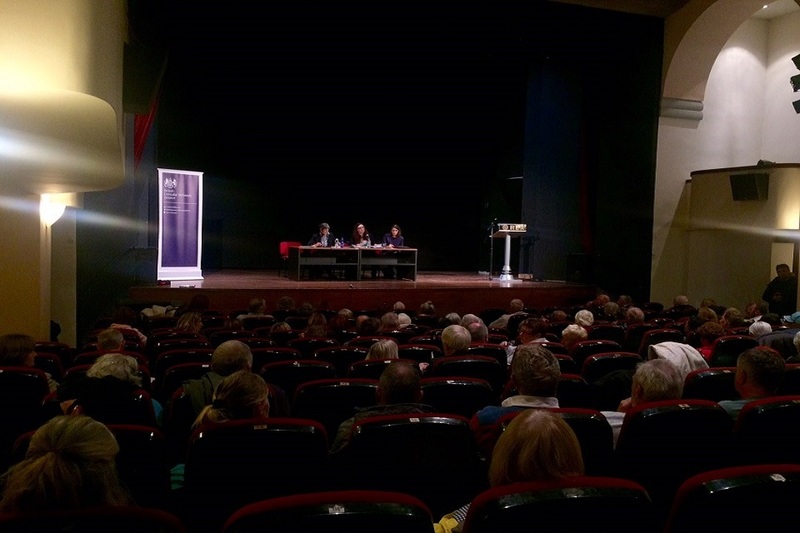 The Ambassador then spoke to a large audience of UK nationals at the Town Hall of Apakoronas, providing official information and answering questions. The next stop was the city of Rethymno, where the Ambassador spoke to another large group of UK nationals. Just outside of Rethymno, HMA Kate Smith CMG then visited the facilities of Creta Farms, one of the largest companies in the meat and deli meats sector in Greece, where she met with the Director of Industrial Production. 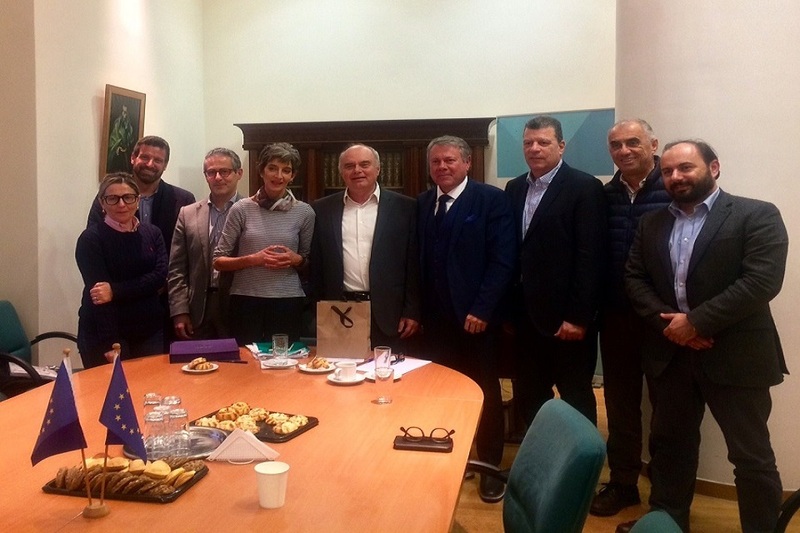 On the second day of her visit to Crete, the Ambassador visited the East side of the island where she met with the mayor of Agios Nikolaos, Antonis Zervos, and then spoke to another large group of British UK nationals who reside in that area. Continuing on to Heraklion, HMA Kate Smith CMG was part of a very constructive round table discussion with the President of the Heraklion Chamber of Commerce, Manolis Alifierakis, the President of the Greek Tourism Confederation (SETE), Yiannis Retsos, and local businessmen who export products to the UK or are supported by British tourism. The focus was on the mutual interest of all to secure positive commercial relations, post-EU exit, between Greece and the UK. The fourth and final outreach event took place in the town of Malia. 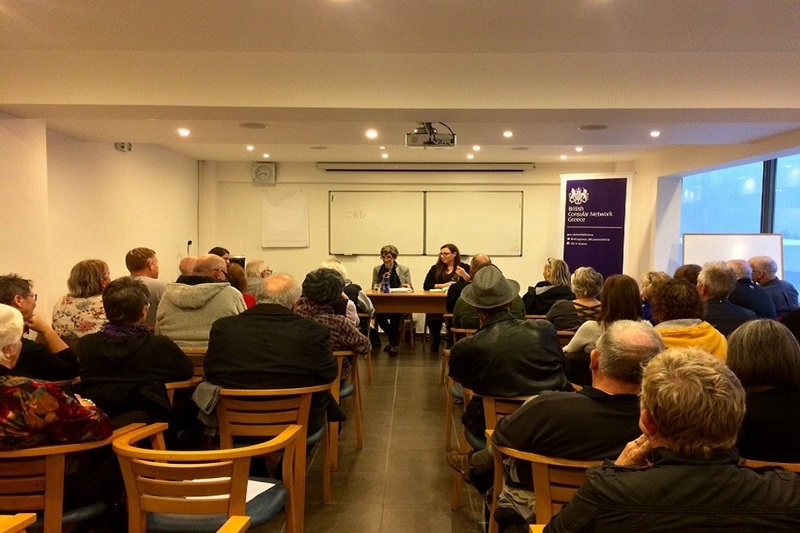 The meetings in Crete were organised as part of a wider series of such events being planned across the country, in an ongoing effort to reach as many UK nationals living in Greece as possible.